Kick those blues goodbye and cap your union with a destination wedding. Pretty exciting, isn’t it? Just the thought of it sizzles the spirit. Ah, Bahamas, Fiji Islands, Bali, the list seem endless. 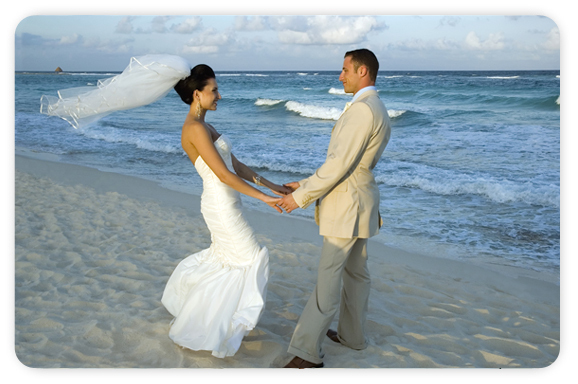 Getting married in a far away land seem a dream come true – not only for you but for all your wedding guests. However, you still need to keep your feet anchored to the ground. Follow these key points to get your dream wedding fit to a T.
Decide which place best fits you – something the both of you crave for. It could be a place that holds a special meaning. Do your research to narrow down your options. Ok. This one is tricky and must be confronted head-on. Factor how much will the journey cost you and take into consideration how many guests you are going to invite. Not only will you have to get your numbers right for your destination, you need to know how much of your finances will you left behind for your early years as a married couple. Additionally, you need to give an elbow room for your journey. Your guest list matters – a lot. Take time to come up with a workable schedule that best fits everybody’s timetable. Packages help a lot. Look for all-inclusive destinations coupled with huge discounts for a group travel. Don’t burden yourself with the details (e.g., transpo, reception venues, bridal consultants) ; let the pro’s take care of it. Knowing your destination is key. Call your hotel and ask around. Having somebody you know in the area is a bonus. Getting down there ahead of the guests helps a lot. Postcards are helpful but pictures speak a thousand words – some of which could have been muted by purpose.